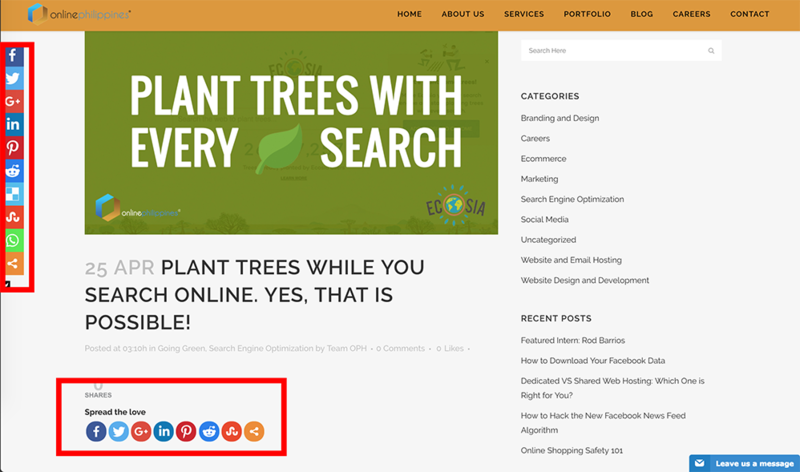 25 Apr Plant Trees While You Search Online. Yes, that is Possible! 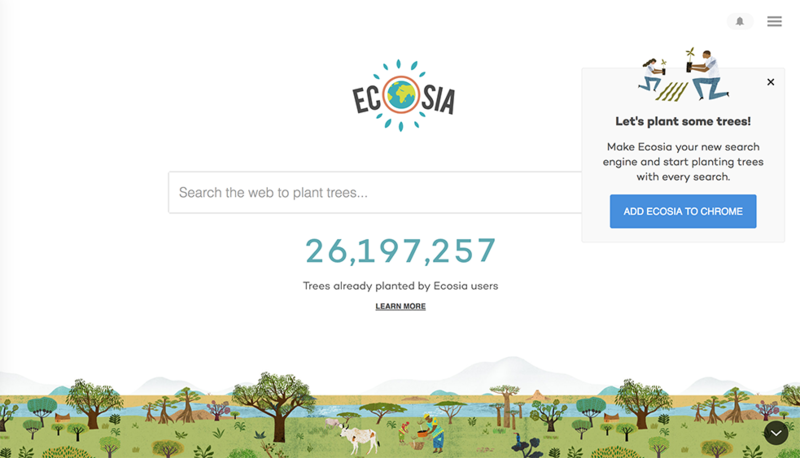 If you haven’t heard about it yet, a not-so-new search engine came about last 2009 named Ecosia. When one of its founders, Christian Kroll, travelled around the world and helped him understand the problems brought about by deforestation. Their team’s concept is simple yet very noble, create a search engine, with every search a tree gets planted. So how can a company survive such business model? The company uses its ad revenue to fund its tree planting initiatives, while making sure to practice transparency by publishing their financial reports regularly. To this date, the company has planted over 26 million trees and counting, with a mission to plant one billion trees by 2020. Why trees you might ask? “By planting a tree, you can fight climate change, restart water cycles, turn deserts back into fertile forests and provide nutrition, employment, education, medical assistance and political as well as economic stability.” With around 20+ typhoons annually, an emerging country like the Philippines experiences the effects of deforestation first hand with flooding as our main and most frequent calamity, caused by having less trees around to absorb all that excess rainwater. Animals could also be endangered because of loss of habitat, and to top it all off, we need trees to clean and purify the air by absorbing pollutant gases, filtering out particulates, and producing oxygen. So as a regular search user, what can you do to help the cause? 1. 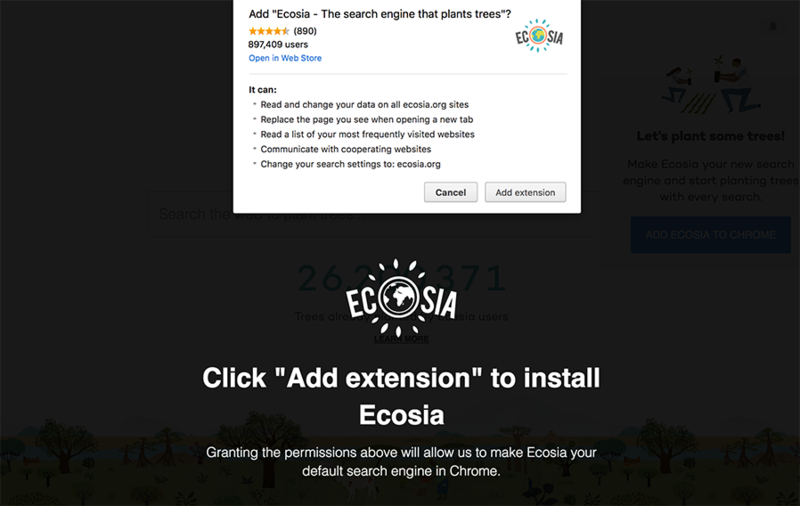 When you need to search, just type www.ecosia.org on your browser, you can even make this your default homepage. 2. Download their Chrome extension for an easier experience. 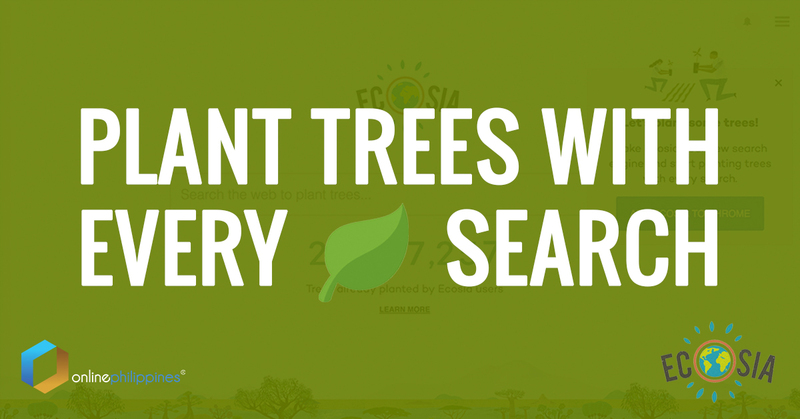 Now every time you click on your search bar or address bar, it will search using Ecosia, and a new tree is planted! 3. Share and spread the word to your friends and family by sharing this post! Just Click any of the Social Buttons on your screen!